However, their love was a story that would not find a happy ending.In this prequel novella to the Estate series, follow Joseph Carmichael as he creates a world unlike any other. Because, in order to comprehend The Estate, you must understand Joseph; but, in order to understand Joseph, you must discover how a man falls from light into the pitch black depths of ultimate darkness. Holy hell… I have to start this review with a warning. Don’t even think about reading The Estate Series if you have a light heart. This dark twisted bone chilling maddening story is not for everyone. But I loved it!! (I guess my brain is twisted lol). It’s been such a long time since I couldn’t put a book down, so Ms Willis I have to bow at your feet 🙂 Thank YOU! 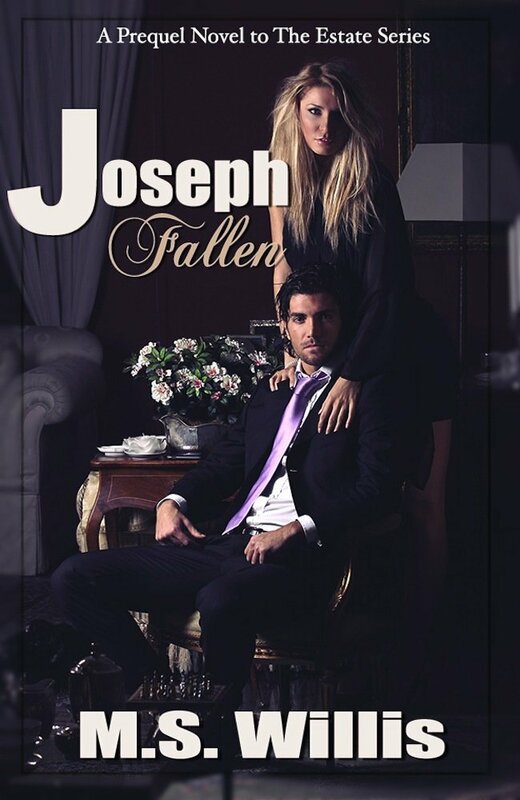 Joseph – a very promising young man with a bright future in front of him, and Arianna – a beautiful lady very sensible, kind and talented – fell madly in love. He was the perfect man…gorgeous, ambitions, romantic, devoted, protective and ready to give his life for the woman he adored and worshiped. Geez my fingers itch to tell you the entire story 🙂 , but I have to let you be consumed by it as I was. Needless to say, the ending is tragic, not something that we’re used to. But remember this is only a prequel to the trilogy, which I wouldn’t skip. I’m almost done reading book one about Aaron , review will come soon. So here is another author that made me fall in love with her mind. The storyline flows perfectly; there is not one page that made me skip passages (I admit I do that sometimes ha ha). I must say the writing is flawless! I’m so happy I found it at the perfect time, because this story was exactly what I needed. Thank you Ms Willis! And thank you Facebook LOL. This entry was posted in Angst, Awesome heroines, Book Recommendation, Bookish Temptations Announcement, Books, favorite author, Favorite Books, Must read book, Reading, Reviews, Series and tagged authors, Book Recommendation, bookish temptations, favorite authors, Review.